The ES2 electric scooter from Segway/Ninebot is an upgraded model from its successor the m365 Mijia which had very successful sales numbers since their release late 2017. This has been one of the greatest things to happen in the electric scooter community in quite some time and there are some good improvements to the ES2 that makes up for the difference in price between the two scooters. 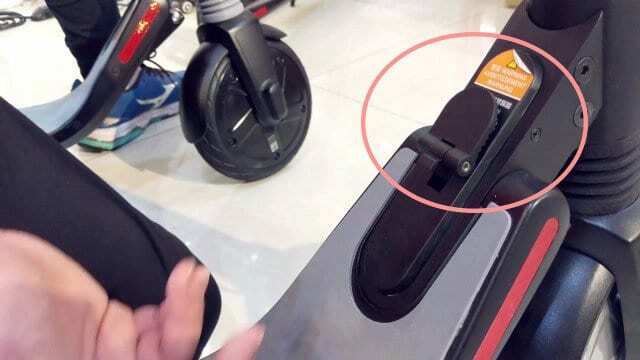 The best part with the Segway scooters is that you can easily upgrade them with an externally mounted battery-pack and get a lot more out of them. The ES2 offers users more power in terms of watt, a 300W hub motor, instead of the 250W mounted on the ES1. This motor has a peak power of 600W. The motor mounted in the front tire delivers a top speed of 15.5 mph and with the high-quality lithium battery, it can provide a maximum distance per charge of 15.5 miles. It has a rear suspension system and a front shock mounted just above the front tire that helps a lot in reducing some of the bumps coming from the fairly small hard rubber tires. 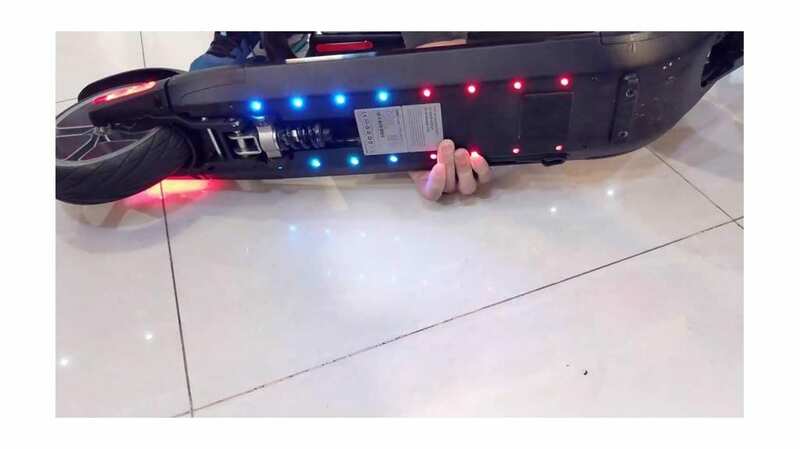 A good-sized scooter that is very visible during the night thanks to the rear lights and the LED-lights mounted underneath the footpad. The headlight provides you with great visibility during night time riding and the scooter itself is very easy to control. The scooter is somewhat lightweight at 12kg and it can be easily folded and unfolded in seconds. A great improvement they made to the folding system of the ES1 is that the thing you press down in order to get the scooter to fold can now be hidden. On the ES1 it stands out all the time, on this model you can fold it out of the way. It has a very easy to read LCD display providing you with real-time data like speed, battery level and ODOmeter. It has built-in bluetooth so you can download the Ninebot mobile application (IOS / Android) and adjust things like speed and the regenerative braking settings to your liking. There you can also outread the real-time data and historical data of your electric scooter and also update the software(firmware) to the latest version with the click of a button. A sophisticated and smart electric scooter that will find its way into many people’s lives and daily commutes over the coming years. Comparing it to the ES1 it does provide you with a much smoother ride, a lot more power especially noticeable if you have the add-on battery pack equipped. That gives the scooter an addition 200W in peak power and an insane distance of up to 27 miles on a full charge. It also boosts the speed up to 18.6 mph and the ability to climb hills up to 15 degrees(from 10 degrees). This provides you with a high-end scooter .The foot pad has a nice and grippy feeling to it and it doesn’t feel slippery. I reached a top speed of 16 mph riding on a flat surface with my 176 lbs and the distance it got me was just a little above 12 miles on a fully charged battery with some hills. We have one steep hill here in the city and I had to help kick it all the way to the top. 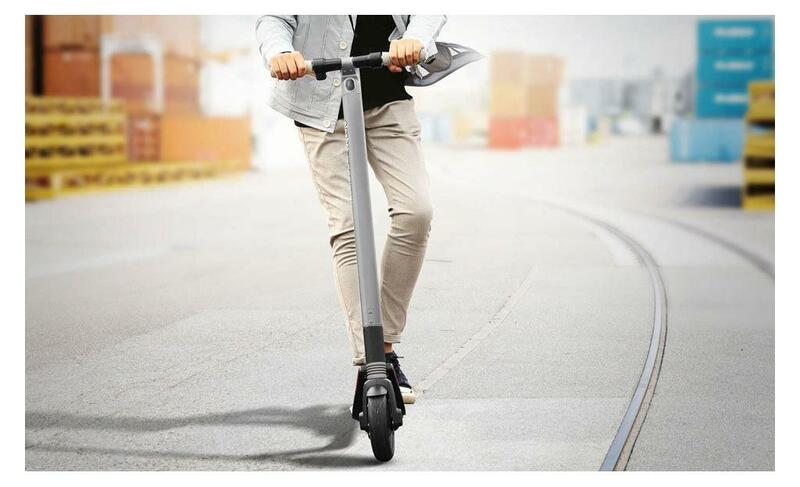 From a commuter’s perspective, I can definitely see this as a viable option to the popular Xiaomi M365 which is losing a bit to all these new scooters that have far better performance. The Ninebot application is easy to use, a tad slow perhaps but I love the fact that Segway/Ninebot can push firmware updates to the scooter so easily. Early models of the app had a lot of bugs but they seem to be working on fixing these issues. For a high-quality scooter, it folds together nicely and it doesn’t take up a lot of space. Folding mechanism works fantastically good and with its 28 lbs, it isn’t too heavy to carry around on. For younger users, I would suggest getting a shoulder strap from an old laptop and attach it to the wheel and handlebar to make it even easier to carry. I took it to the office around 8 miles from my home without any issues, charged it up at arrival, then took it home later that same day. If your commute is 11+ miles away I would consider getting the add-on battery pack, or if you’re on the heavy side and want a bit more power in your commute. Bluetooth enabled scooter with a mobile application for updates and real-time as well as historical data. An easy foot-folding mechanism that folds it together into a lightweight and compact scooter package. A good light system with rear light, headlight, and lights underneath the footpad. The ability to upgrade to an ES4 with the add-on battery that attaches to the handlebar. Motor and footbrake works great and lets you stop in time. The design is very stylish and well thought through. I have no problem at all recommending the ES2 to anyone looking to get a bit more power under their feet than what the ES1 provides. With or without having the add-on battery pack. However, I love to be able to increase the performance of my electric rides at will and I know a lot of you readers do too. With the add-on battery equipped the ES2 takes an even greater lead over the ES1.